The Aquatic Facility Operator (AFO) program is an advanced, state of-the-art educational training program for those persons managing and operating aquatic facilities. The AFO program is fast becoming the leading training opportunity for pool operators and aquatic facility managers in the United States and to date has certified over 16,000 aquatic facility operators in the 16 years of existence. 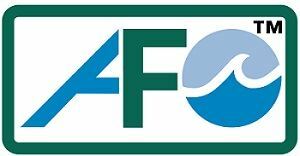 The AFO certification course is a training program specifically designed to meet the needs of those working in public, semi-public, and municipal pool or waterpark facilities. The AFO program offers a unique discussion of risk management, not usually directed towards operations personnel. The course is designed to provide information and training for both supervisory and operations personnel. The course features NRPA’s Aquatic Facility Operator Manual, the most complete and comprehensive publication available on pool operations. The manual undergoes revision every three years to keep current with changing technology. Author Kent G. Williams, using wit and his 20-plus years of experience, clearly leads even the beginning pool manager through the often complex processes in aquatic operations. Become nationally certified as an AFO, receive 1.5 CEUs and a certificate of completion suitable for framing. This 18-hour course features the new Aquatic Facility Operator Manual, one of the newest publications available on pool operations. This certification is renewed every 5 years. Please contact the KRPA office at (785) 235-6533.